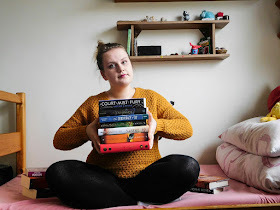 We all have preferencies when it comes to books. Someone love historical finction, other loves new adult. There are many topics that when I see mentioned in the synopsis, I know I have to read the books. So here are my five most favourite topics I would die for to read. Do you know the show Totally Spies? No? Then go watch it! Those, who know what it's about, get why I like spies so much. Totally Spies were my childhood. My friends and I were pretending we're spies and were spying on our neighbours in our block of flats. Everytime someone shouted, we came up with a case about a murderer or a drug dealer and then we pretended like we have to save the world. It was a lot of fun! And we definitely had a big imagination. I like the topic of spies because it reminds me of my childhood and once again, I think I'd be amazing badass spy. That just reminds me how ordinary my life is. I know this topic can be a tricky one and it doesn't hav to suit everybody but I like reading about illnesses. I think it's important to talk about them, especially about the mental ones, because if we shut our eyes, it doesn't make them any less real. I think we should adress bulimia, anorexia or depression because they are more and more common in our society. I'm not saying that reading these kind of books is easy, but I always get something from them. Or I just cry a lot because I need to release all the emotions. I've heard opinions such as "originality is dead" and that "every story is just copying of what we've already read" and retellings may be considered as not original because we take a story that already exists and just change it a bit. Wrong! Retellings are just as original as any other story. Why should we discriminate them. I think it's really cool if someone can take an old story and give it a new coat and create a completely new one. The author can show you how he/she perceives the fairytale. I don't know, I fell in love with retellings because there are moment when I know what will happen but then again, I don't know what the author added. That's the good stuff. So, now it's your turn. 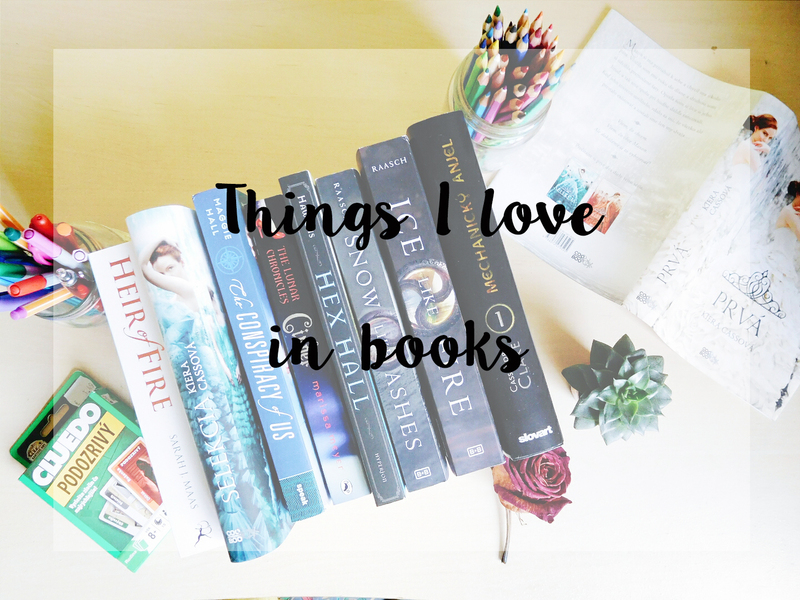 What topics do you like in books? Have you watched Charmed or Totally Spies? And what do you think of retellings? Let me know in the comments below. So many of these I love!! I'm currently reading Cinder for the first time and it's really good. I've never read any other retellings before so I'm just starting to get my feet wet. XD BUT BOOK COVER LOVE. And omg spy stuff is life. ♥ SPIES FOREVER. I've been writing espionage/thriller with fanfic for a while and I am determined to write a real book of that genre one day... ONE DAY SOON, HOPEFULLY. gah. I'm glad you like Cinder. Scarlet, the second book in the series, is even better! And retellings in general can be a lot of fun. If you like spy books then I would recommend you check out 'The Gallagher Girls' series by Ally Carter. The names are cheesy (the first is called 'I'd Tell You I Love You but then I'd Have to Kill You') but the story, about a girl called Cammie and her friends at spy school, is fun and easy to read. Maybe I only like it because they were the first YA books I read I still think more people should read them. I love royals and princess books too! Red Queen was amazing I can't wait to read Glass Sword. I'm a sucker for witches, wizards and anything fantasy as well! I think the thing I like about stories such as Harry Potter is just that they are so different from real life that you can get really lost in them. I CANNOT WAIT TOO! I really hope the sequel won't dissapoint. I love queens too. They're just so badass!